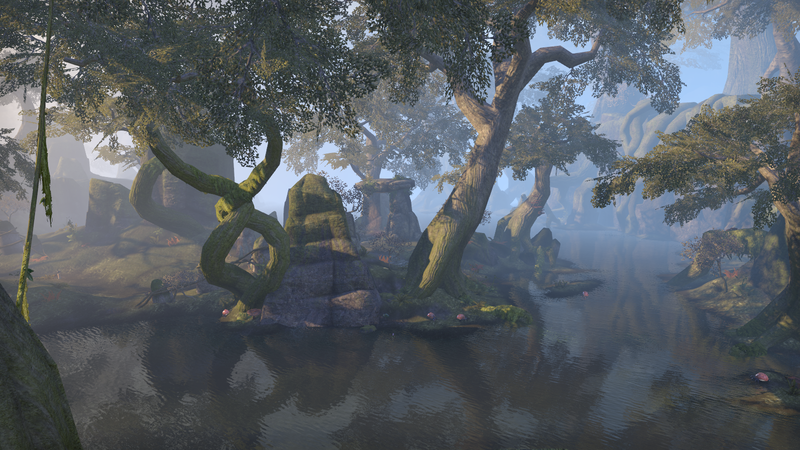 I press on in Elder Scrolls Online. It’s taken a long time, but I feel like I’m feeling shedding my status as a newbie and starting to get a complete understanding of the game and what it offers. With the help of Thieves Guild and the holiday XP bonus, I’ve now managed to hit level cap in Elder Scrolls Online, despite not yet finishing the Aldmeri zones. I have now been introduced to the Champion Point system, which fuels progression after level fifty, and boy, is it strange. Once at max level, experience instead counts toward earning Champion Points, with the total number of points serving as a sort of secondary level. The points can then be spent on a wide variety of incremental bonuses. Spending enough points in a specific constellation will unlock further bonuses that are more noticeable. It’s a very strange system on a variety of levels. For one thing, you don’t start at Champion Point one, but ten. You also earn the first few dozen additional points incredibly fast, since you’re immediately given full Enlightenment, which is similar to the rested experience bonus found in other games but spectacularly more powerful. It’s also a system whose function is very unclear. It feels like it’s meant to be a horizontal progression system, but most of the bonuses you can unlock are direct increases in power. Most, but not all. Some unlocks are more utility-based, relating to crafting and the like, but these often have completely unrelated combat-focused prerequisites. It feels like they had two totally separate progression systems they couldn’t decide between, so they just rammed them together in the most inelegant fashion possible. The Champion Point system is also tied to gear progression, with many tiers of gear and crafting locked beyond your CP level. This caps out at the very arbitrary number of Champion Point 160, so you could argue that is the actual max level for the game. I find the continued gear treadmill a bit frustrating. I had hoped to finally have some permanence in my gear upon hitting level 50, but I’m still going to replacing pieces regularly for a while to come. Along that line, my crafting skills still remain far from maxed out despite my ostensibly being max level and the great amount of time and effort I’ve put into staying on level with them. This is exacerbated by the fact the rapid leveling in early Champion Points means you’re going to pretty much entirely skip at least one or two tiers of crafting. I realize a lot the wonkiness of the Champion Point system is due to it being salvaged from the previous Veteran Ranks system, but I have to imagine they could have hammered it into something more coherent. I shudder to imagine what a mess Veteran Ranks must have been if this is the improved model. The end result of the Champion Point system is that I’m having pretty much the same leveling experience I had before, except less rewarding because I no longer get skill points from leveling. This is a problem because I still needs lots of points to finish off both my crafting and combat skills. Of course, there are still lots of skill points to be had from Skyshards and quests, but those are slower and less reliable sources. The good news is I decided to download an add-on that marks Skyshard locations on your map, and after a few hours of collecting a lot of the easier to reach ones that I’d missed while wandering the world, I’ve caught up quite a bit. I haven’t maxed out everything I want to, but I’ve got most of the important stuff covered, and I can afford to be a bit more patient about acquiring new skill points now. It also needs to be said that a lot of my skill point starvation can be blamed on my need to be a jack-of-all-trades. I’m spreading myself thin over two types of armour, two weapons, two class lines, three crafting skills, various theft skills, and more. If I was a bit more focused I’d probably be fine. Similarly, my frustrations over the Champion Point system are as much the result of misinformed expectations on my part as any innate flaws of the system. 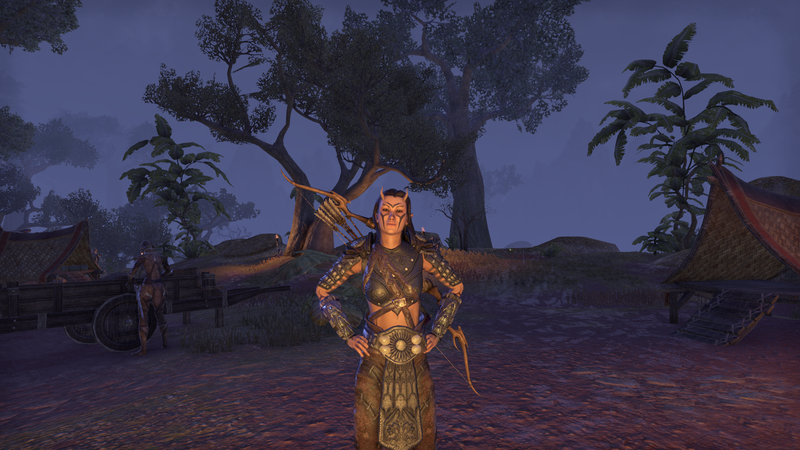 Leveling in ESO is far from an unpleasant experience, and there’s not really anything wrong with the fact that life after 50 is almost exactly the same as life before 50. It’s just not what I was expecting. 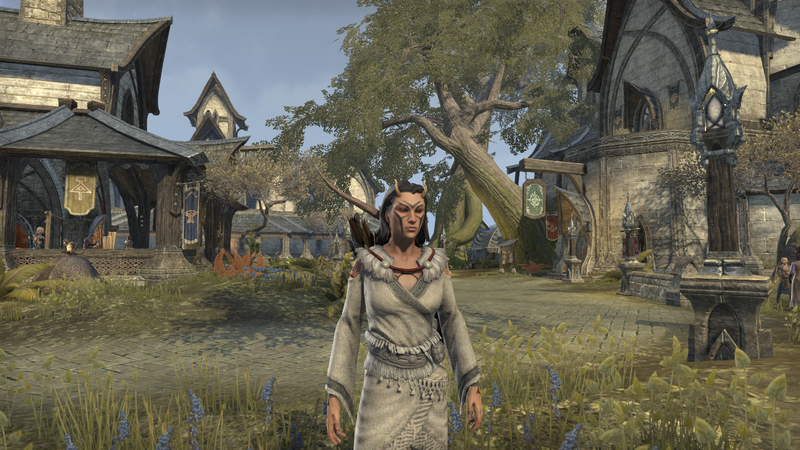 My biggest complaint about Elder Scrolls Online continues to be its lack of a wardrobe. To that end, I’ve acquired a number of costumes from the cash shop and in-game sources, but nothing is quite clicking. The problem with costumes is that they’re, well, costumes. They’re very specific outfits, and most of them are pretty clearly non-combat attire. You can try to squint and convince yourself some are decent adventuring clothes, but the fact remains these are basically town clothes. Very nice town clothes, but still. I don’t understand why the developers are okay with us charging into battle in sundresses and formal suits but won’t let us reskin our armour into different armour. So I don’t really stick with any costume for long, and I’m starting to regret the money I’ve spent on the ones I got from the cash shop. Instead, I’m leaning more on my growing collection of crafting motifs and trying to make my own gear as much as possible. I like a lot of the Skinchanger pieces, and I’ve recently unlocked the Barbaric style. The mid-level Argonian chests remain my favourite, but I’ve now out-leveled them. Instead, I’ve turned to the Minotaur motif as a substitute. I had to spend nearly all my gold and probably sink my hopes of home ownership come Homestead’s launch, but I found a player willing to sell me the Minotaur chest motif. It’s pretty good. I’d prefer if it was maybe a little more realistic, but it does fit my character’s barbarian aesthetic, and you can at least see a little of her tattoos. One real money purchase I don’t regret, though, is the emotions personality pack. The “cheerful” personality has really added a lot of, uh, personality to my character. She feels more real to me now. That’s a lot of complaints about ESO, but I’m still playing it, so clearly I’m finding that the good outweighs the bad. So what am I enjoying about it? I’m actually finding that surprisingly hard to nail down, but I think part of it has to do with the game’s sandbox nature. I’m not much of a sandbox player, but as I understand it, the main appeals of the genre are the freedom to do what you please, and a greater level of immersion — an emphasis on non-combat activities and other things that make you feel a true citizen of the virtual world. 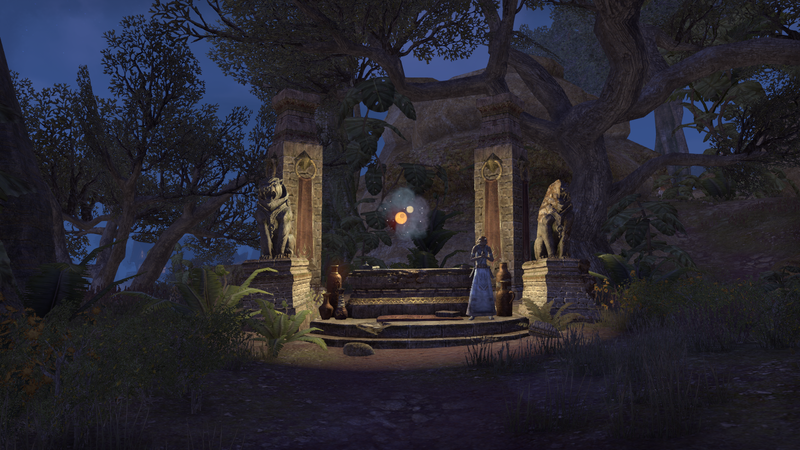 Ironically, ESO is generally not viewed as a sandbox by the community at large, but it still provides that experience better than the actual sandboxes I’ve played. Much like Guild Wars 2, this is a game where you can pretty much just walk in any direction and find something cool before too long. It’s a bit slower-paced than GW2, but also less mindless. Now, mind you, I’m still roughly following a linear storyline — albeit with frequent tangents whenever I see something shiny — but I’m doing so because I want to, not because I have to, and I’ll branch out even more once I finally finish the Aldmeri zones and the main story. Meanwhile, no other game has given me such pleasure from non-combat activities — except maybe Landmark, I suppose. I spend a great deal of time gathering, crafting, stealing, and just wandering around seeing the sights. It feels like a more complete experience than most other games. I don’t play MMOs because I crave connection with other players. Whatever desire I did have to adventure alongside my fellow gamers perished upon contact with the average MMO player. 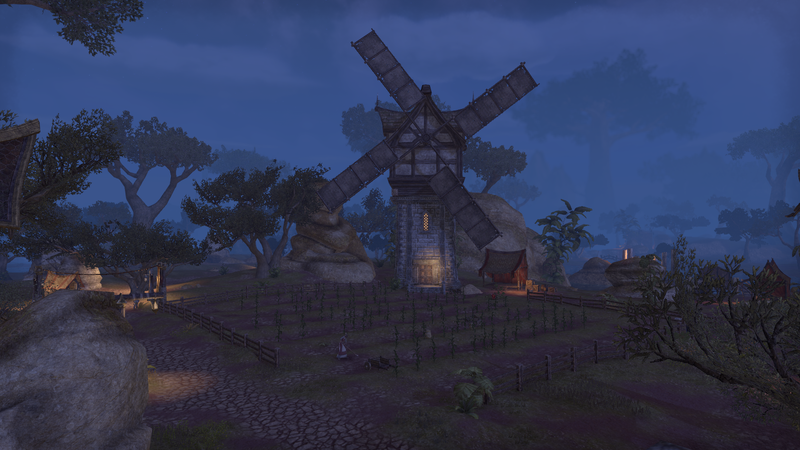 I play MMOs because I love imaginary worlds, and I want to be a permanent resident of them, not merely a tourist. Single-player games don’t offer that. MMOs do. And right now ESO is doing a better job than most of selling me on the idea that I am a citizen of this virtual world, not merely a guy playing a game. Also on the subject of ESO, one of my latest posts at MMO Bro compares its build system with The Secret World’s. It’s funny how many parallels there are between the two games. Even my faction preferences are mirrored. In both cases, the green faction is by far and away my favourite (Aldmeri Dominion/Dragon), the red faction is a distant second (Ebonheart Pact/Templar), and the blue faction just doesn’t appeal at all (Daggerfall Covenant/Illuminati). Also at MMO Bro, I risk the Wrath of the Comments Section by sticking up for lockboxes, at least a little. 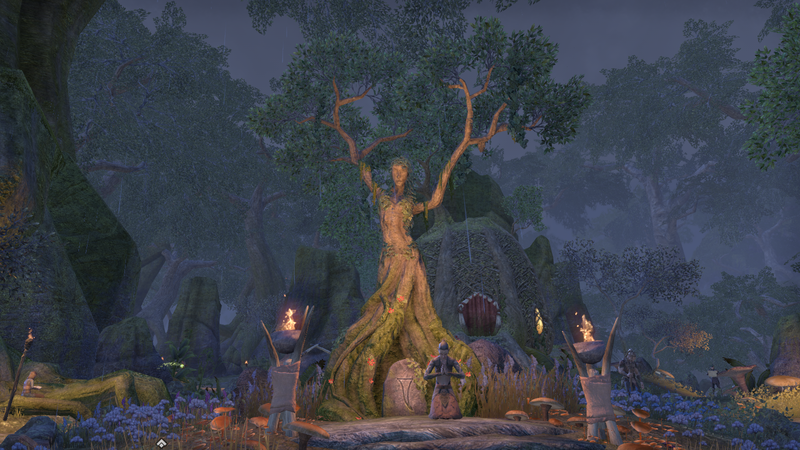 This entry was posted in Games, My writing and tagged Elder Scrolls, fantasy, The Elder Scrolls Online, writing by Tyler F.M. Edwards. Bookmark the permalink. I kinda loosely compare the Champion Points system to the Augment system in The Secret World because they both let you fine tune aspects like crit damage and bonus stats. The best thing about Champion Points is that it is an account wide unlock – my alts benefit from getting points earned by my main character and can use them straight away even before reaching level 50.